One of the most highly anticipated techno albums to be released so far this year, delivered via a label that’s on top of its game. 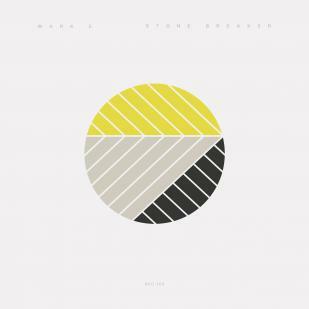 Midlands man Mark E has been a name we’ve all grown to respect in recent times, and here his debut long-player, actually a combination of singles, shows the keen ear that’s been evident in many of his productions. Forceful, proud and very dance music dance music being the order of the day then. Fans will already be well aware of the artist’s ability to create powerful kick drums, set to purposeful rhythms and mechanical loops. Thankfully they won’t be disappointed, as those kind of tunes are here in full force. The robotic Deny This bumbles along with a plucked electronic melody and distant metallic hook, gradually building up the tension though never pushing things over the edge (in terms of both BPMs and attitude). Which is quite unlike Belvide Beat, a track that appeared on Agoria’s recent Fabric excursion, comprising distorted hoovers, acid flares and rolling hi-hats. And there’s almost everything in between too. Informal floors inside basement bars, solid house nights, peak time techno parties… it really depends on where you put the pitch control. Quatro is a cheeky little number, reminiscent of 80s power pop, minus the lyrics and with the house factor turned right up, nodding towards Mark E’s earliest, slower production work. Got To Get Me There on the other hand is a stripped, repetitive number that goes straight for the understated jugular, merging tribal percussion and disparate key hooks, before sliding a warm organ bassline underneath to create something of a moment. At the most epic end of things Black Moon probably stands as the biggest piece offered here, with haunting harmonies descending over a steam train rhythm while sharp percussion propels us forward to each new bar. A growling, analogue low end finally arrives some five minutes into things, by which time chugging and relentless are apt descriptions. However, if experimental soul is the apple in your pie final track The Day has it in groove-fuelled spades, so that will be the one for you. The vinyl comes with the CD, which seems like great value to us. Juno, Chemical Records, Mode 9 Records, Boomkat.